So you have type 2 diabetes? Perhaps you’ve been recently diagnosed? Don’t panic! You are not going to be condemned to a lifetime of 'rabbit food'. 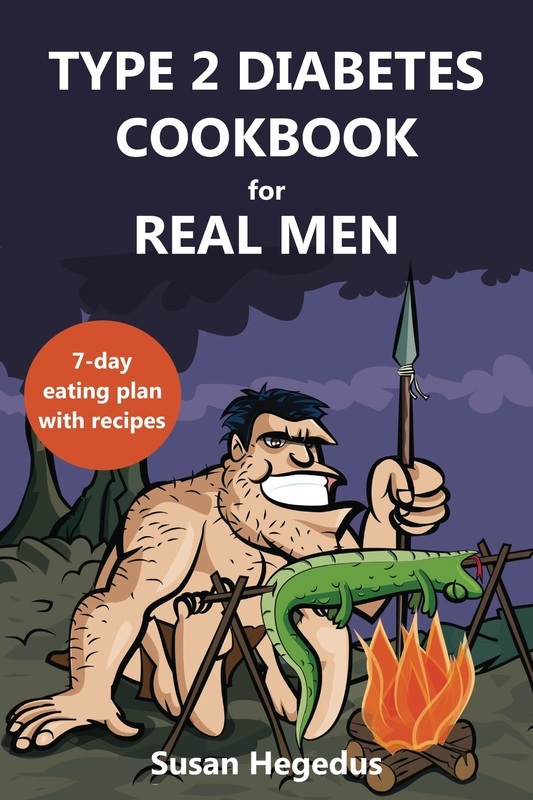 This book contains a 7-day eating plan suitable for 'real men' – and anyone who prefers honest hearty food over salads and fancy vegetables. The plan even includes a dessert each day! "This book is great for people who have been diagnosed with type 2 diabetes and have no idea what to do. The recipes are however suitable for the whole family and look yummy. Highly recommended." "This is an easy to read, highly practical book. The author has tackled a big issue and presented an easy to follow eating plan with straightforward recipes suitable for any family." "Would highly recommend this cookbook, excellent tips and recipes"
"Easy to follow recipes, with clear instructions - great practical tips and information. Recipes are delicious - I would really recommend it!" I would like to think that my book gives a helping hand to those who have type 2 diabetes. It can be a trying time when you have just been diagnosed. My meal ideas and recipes are quick, easy to make and tasty. Baked goat’s cheese figs. The savoury and the sweet go so well together. I also like the fact that this recipe is interchangeable: it can be used as a snack as well as a dessert.